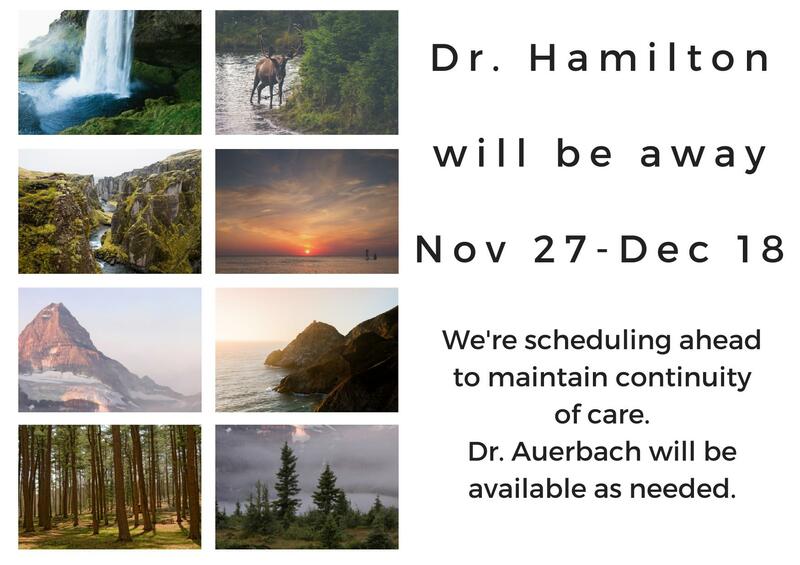 Dr. Marsha Hamilton will be out of the office from November 27th through December 18th. We’re scheduling ahead to maintain continuity of care. Dr. Stephanie Auerbach will be available as needed.